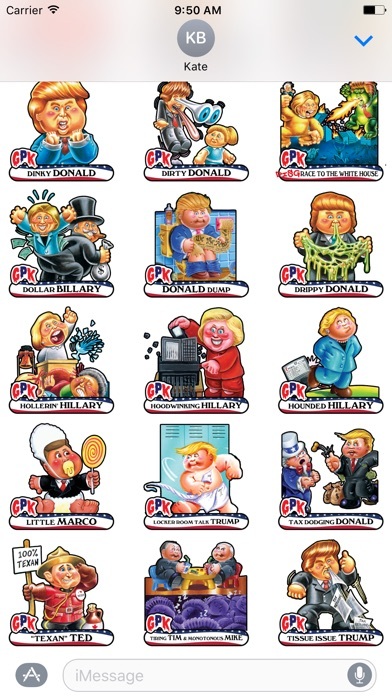 Give the 2016 Presidential Election the Garbage Pail Kids® treatment! 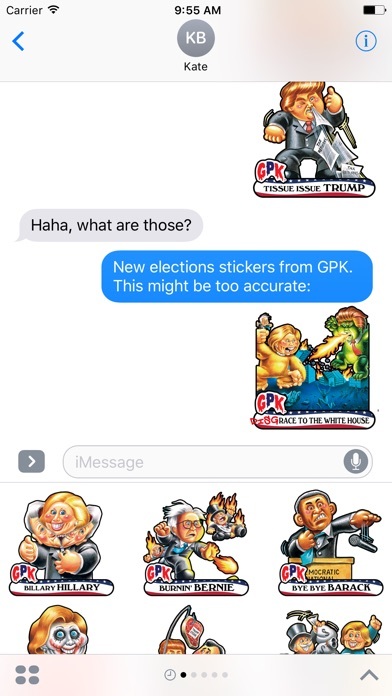 Lampoon the great, and no-so-great, moments of the campaign with this exclusive set of GPK℠ stickers for iMessage from Topps®. 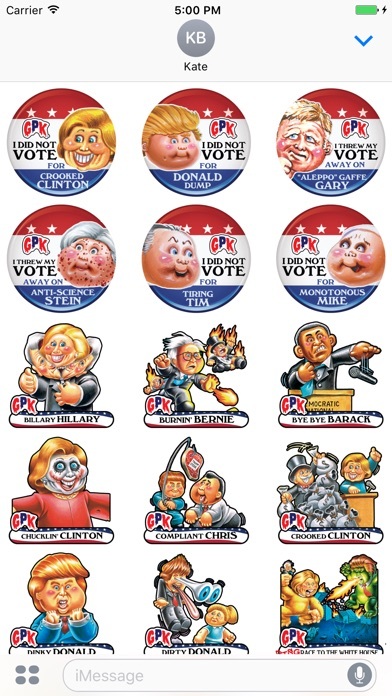 Not only are the major party nominees here to be made fun of, but we have some of the other candidates from the primaries, your exciting VP candidates, and even a final appearance from the outgoing 44th President. 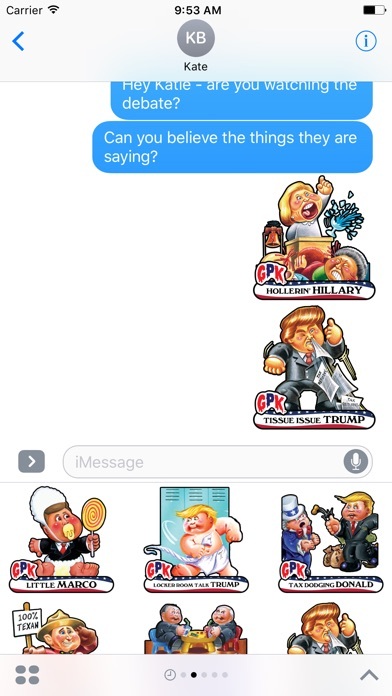 So whether you live in a Red State, a Blue State, or are subjecting to the never-ending barrage of television commercials in the battleground states, have a little fun and laugh at the election by sharing stickers with your friends that they will love, or love to hate. 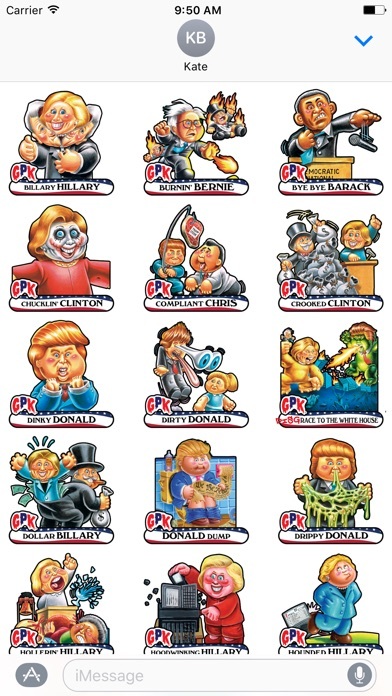 This pack contains the following stickers: • Billary Hillary • Burnin' Bernie • Bye Bye Barack • Chucklin' Clinton • Compliant Chris • Crooked Clinton • Dinky Donald • Dirty Donald • Disg-race to the White House • Dollar Billary • Donald Dump • Drippy Donald • Hollerin' Hillary • Hoodwinking Hillary • Hounded Hillary • Little Marco • Locker Room Talk Trump • Tax Dodging Donald • Texan Ted • Tiring Tim & Monotonous Mike • Tissue Issue Trump NOW UPDATED with version 1.1: Six all-new "I Voted" button style stickers. For support please e-mail us at support@toppsdigitalstickers.zendesk.com or follow us on Twitter @ToppsDigital Let us know what you want to see in future sticker pack releases! 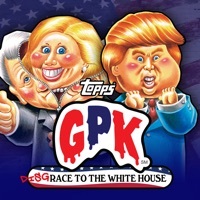 Love the GPK sense of humor.